Till about an year back, Google was rumored to be buying lot of “dark fibre”. Made it feel as if we were talking of Voldemort – the dark lord. We now have a intent – Google believes that Access is the next frontier that needs to be opened. And the plan is to deliver fastest internet connection through ultrahigh-speed service, offering lightning-fast access of one gigabit per second. Yes, Google now enters the ISP bandwagon. For building the case in differentiation, Google emphasizes on broadband access speeds – making a case that the broadband speeds had levelled out since 2000. Google Fiber’s ultra highspeed connections and television offerings are aimed at surpassing those of current providers, allowing users to search live channels, Netflix, YouTube, recorded shows and tens of thousands of hours of on-demand programming . Google Fiber includes more than 100 networks and costs $120 a month for a package of TV, 1 gigabit per second Internet speeds and 1 terabyte of cloud storage. So now, Google takes one more important step to further its ambition of making the shift from a Search company to a Media company. More importantly it seems to be taking stakes at important pieces of the eco-system rather than being happy service -enabling the eco-system. Here’s disrupting the TELCOs! With 25 million tablets selling of in Q2, 2012 globally, tablets could very well have arrived as the third device in the mobile stack – PC and smartphone being the first two devices. But do we find productivity yet on the tablets? Or would they always remain as consumption devices? Tablets aren’t really new. They’re big PDAs. We do calendaring, note taking, alarms, and notifications on tablets — but so could a PDA, all the way back to the Newton. We’ve been using this kind of touch-based organizer for over a decade at the executive level (remember the clumsy tablets from Microsoft?). They’re coming into their own stride, but we still struggle with leveraging them for productivity. Many IT professionals are wondering how tablets are going to affect the enterprise. We’re all trying to work out if, when, and how these devices are going to impact our work. However, I’m not sure we’re asking the right questions about these devices. Given that customized, purpose-driven appliances and tablets are the best answer to the ever increasing productization requirements, the case is still largely inconclusive. We (Marketers in general) are all over the place trying to figuring out how to leverage mobile platforms. We’re looking desperately for a use model. This lack of a definite conclusion reflects the entire industry. The classic innovation and monetization syndrome is that if we don’t innovate and implement this exciting new technology, our competitors will — but don’t worry, they’re as uncertain about how to proceed as we are. Better mobile connectivity than PDAs. In particular, tablets are able to give a more feature-rich browsing experience and reasonable email communication. They also tend to work better with web apps like OWA than previous mobile devices. Ability to design and deploy custom native apps. The trouble seems to be one of convergence and transition. We’re transitioning from a desktop OS, application-based, business productivity environment — Office, Outlook, PowerPoint, and local applications running on a traditional PC. We use server-based back office, HR, and business processes platforms. Those are behind on developing meaningful mobile options, and they don’t yet rival traditional desktop PC methods in features and convenience. The value add of having a mobile device is offset by the limitations, where it’s an option. Another driver is the convergence of cloud technologies and mobile devices. Public clouds make enterprises nervous, private clouds lose a lot of the supposed benefits of public clouds, and IT seems reluctant about adopting any cloud. But mobile devices are cloud pods. They’re lightweight devices designed to buzz around the cloud — gathering, creating, sharing, or moving information. Storing my private music and movies on the cloud is one thing, and storing my critical corporate IP there is another. The personal digital assistant part of the PDA is becoming a reality with Now and Siri, but we’re asked to place a lot of trust in allowing a cloud to collect meaningful information about us. Without that, we can’t reap the benefits of these solutions. The enterprise challenge is that these mobile consumer devices take away the granular control of a PC. Ultimately, things are still sorting themselves out for tablets in the enterprise. It’s still very difficult to see where these technologies might take us. Maybe Microsoft may have a few answers! Strategy Analytics – Global tablet shipments reached 24.9 million units in the second quarter of 2012 up by 67% from 14.9 million in Q2 2011.. Apple rose to 68 percent global market share, having shipped a robust 17.0 million iPads worldwide, its highest level for almost two years. Apple continued to shrug off the much-hyped threat from Android and the iPad’s global tablet share is at its highest level since Q3 2010. Android captured 29 percent share of global tablet shipments in Q2 2012, remaining static from 29 percent a year earlier. Global Android tablet shipments grew by more than half to 7.3 million units. Despite high expectations for companies like Amazon, Samsung, Acer and Asus, the Android community has yet to make a serious dent in Apple’s dominance of the tablet market. Unspectacular hardware designs, limited uptake of cellular models and a modest number of tablet-optimized services have been among some of the main reasons for Android’s mixed performance so far. Microsoft tablets remain niche, but attention is turning to the upcoming Windows 8 launches. Others such as Blackberry and WebOS seemed to have been consigned to history as the race for Technology leadership narrows down to the triumverate. Microsoft restricting its Windows RT device partners. As against Android which has gone all out, Microsoft is reportedly pursuing the policy of “Less is more”. Microsoft is making a concerted effort to keep the Windows RT tablet market as uncrowded as possible and is forcing NVIDIA, Qualcomm and Texas Instruments to each choose only two OEM partners that will be allowed to develop Windows RT tablets at the launch of the new OS in October. 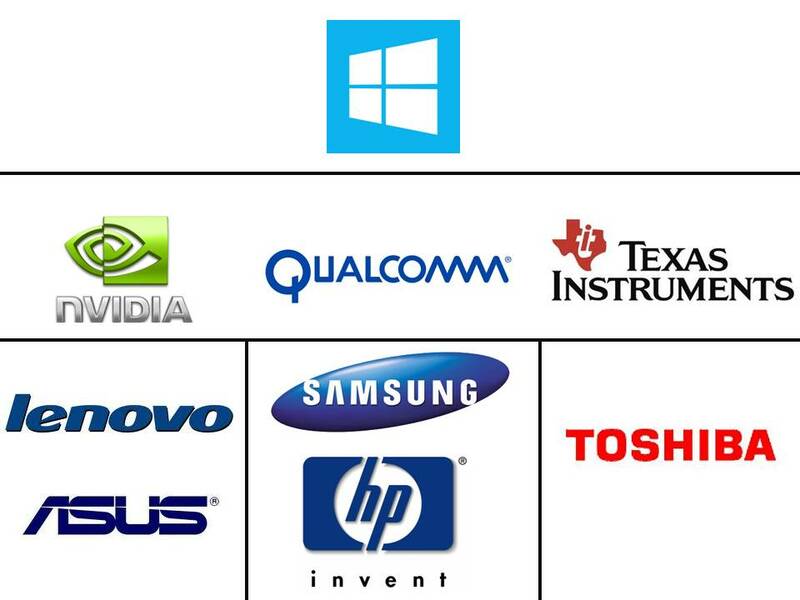 Lenovo and Asus are NVIDIA’s picks, Qualcomm opted for Samsung and HP while TI nabbed Toshiba. These five vendors will be producing ARM-based Windows RT tablets from October and come January, Microsoft lift the licensing restrictions on the operating system. The interesting question and the notable omission in this list is Nokia. Now, wasn’t Nokia the blue –eyed boy for the Microsoft tablet? Or are we missing something? June 20th 2012: Microsoft unveils the Windows 8! October 26th 2012: Reported Windows 8 commercial launch! Kudos has to be given for the Windows Phone feature designers and engineers. They created a phone that makes you feel more connected to your friends and family. The Live Tile updates are a small thing but make a huge difference for gleaning information. All that work has been undone by the way Microsoft announced Windows Phone 8. According to estimates by Mary Jo Foley, Microsoft 7 sold 3.5 million units. And all these 3.5 million users dont get any shot to Windows 8. These 3.5 million users are the real Windows Mavens – a readily available bank of users who had moved to Microsoft 7 inspite of options such as Android and Apple. There are reasons for these 3.5 million to be bitterly dissapointed. There is a reason to think that the choice in purchasing a Windows 7 was in vain. All they get is a shot at 7.8. The difference of V.2 here is more than just a number – it is an experiential change. It also shows that Microsoft still is all about technology and less considerate of the users and user loyalty. As defined by Microsoft, Windows Phone 8 encompasses improvements that require better hardware, so old devices will not receive Windows Phone 8. Instead they will get the features compatible with their device and it will be called Windows Phone 7.8. 7.8 is not equal to 8. An engineer would appreciate the transparency. A general consumer will be disappointed. His trust is compromised. Would that be an improvement or platform fragmentation. It shows that while Microsoft is thinking from a product perspective – putting out an outstanding product in the market, it really understands less of the 3.5 million users who are left out in the cold with only a minor improvisation in Windows 8. Compare that to Apple, which establishes a general compatibility between its successive versions. What many dont know is while, not every feature in iOSx runs on the older devices, but Apple still calls it iOSx and users are happy that their device is running the latest OS.That is a significant gap illustrating how Apple knows how to present itself to the consumer compared to Microsoft. So what is the difference between V0.2? Alienating the supporters of Windows phone 7 instead of cementing their loyalty for Windows Phone 8. 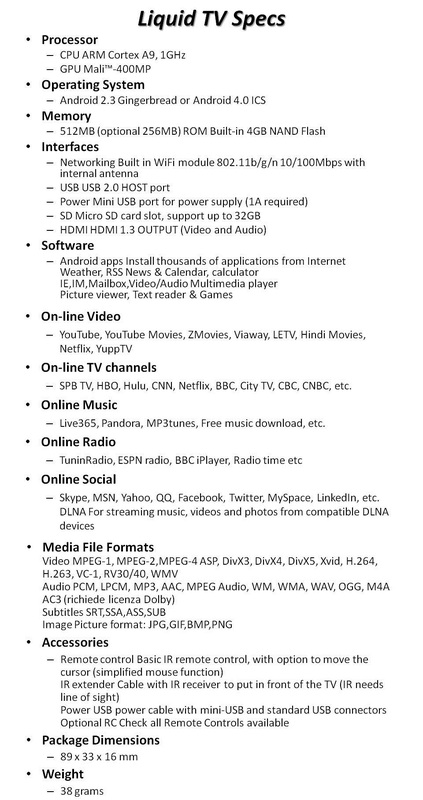 Even while Apple TV is on the horizon and Android TV as a commercial product is half baked, the open ecosystem that Android engenders throws up exciting opportunities and devices based around the TV experience. Smart enough as these solutions are not driven by the large CE companies and is rather developed by small start-ups. The innovation and the wow is the departure from the rectangular TV boxes into dongle sized entities. 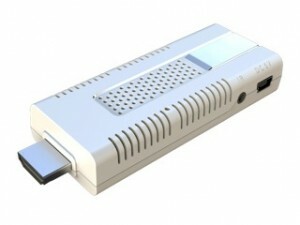 The pocket-sized dongle connects to the HDMI port of any regular TV and converts it into a Smart TV. It’s basically a fully functioning micro-computer the size of a thumb which runs Android 4.0 (Ice Cream Sandwich) much like today’s latest smartphones. Throw in a keyboard along with the remote and any HD television converts into an Android tablet and the accompanying remote (which includes a keyboard on the back) allows users to interact with their television as they would an Android tablet. So then, we see the birth of a new ecosystem around the TV set, which is no longer controlled by old school parties such as the CE manufacturers, the broadcasters and the TV distribution platforms, and not even by relative newcomers such as Apple, but by a whole herd of out-of-left-fielders. The UI and the usability could be a spot of bother, but then it would eventually catch up in the next quarter or so. Social Media may be a recent enough phenomenon, but it is making the elephants in enterprise dance. The global enterprise software market which is currently valued at $280 bln is going through a full scale renaissance. Gone are the clunky, licensed business products once churned out by the likes of Microsoft, Oracle and SAP. Up and coming are cloud-based, intuitive, software-as-a-service applications with social components created by a host of young, disruptive companies. And the big guys are now beginning to play game. In a spate of recent acquisitions, monies worth $2.25 bln have been spent by Enterprise majors to acquire start-ups providing a social platform. The payment mechanisms are changing. As against a CAPEX led purchase earlier, SaaS solutions like Dropbox and LastPass percolate through the workplace organically, introduced casually by employees. If these apps indeed fill a niche, eventually CIOs take notice, opting into buying the enterprise versions. That’s the magic of the Freemium models. The Facebook approach in Enterprise is promising and delivering. The enterprise of today works across departmental silos with a lot of co-working and co-creation at hand. Collaborative project execution represents one of the most profound – and widely overlooked – advantages of new-generation enterprise software. Business computing goes mobile as BYOD soars. Availability of business critical data and information systems are hall-marks of new age mobility enterprises. The BYOD (Bring Your Own Device) phenomenon lets employees circumvent and subvert clunky, legacy PCs bloated with yesterday’s enterprise software. So even if the Facebook IPO bust plateau-ed out on Social, the integration of Social and enterprise has great promise. It promises to phase out a $600 billion legacy behemoth- on-premises software, data centers and PCs. Enterprises are moving fast especially with the BYOD phenomenon increasing in relevance. Enterprise computing is now evolving from a work space to any-where, any-time computing aided by the cloud, omnipresent across locations and devices and securitized in nature. 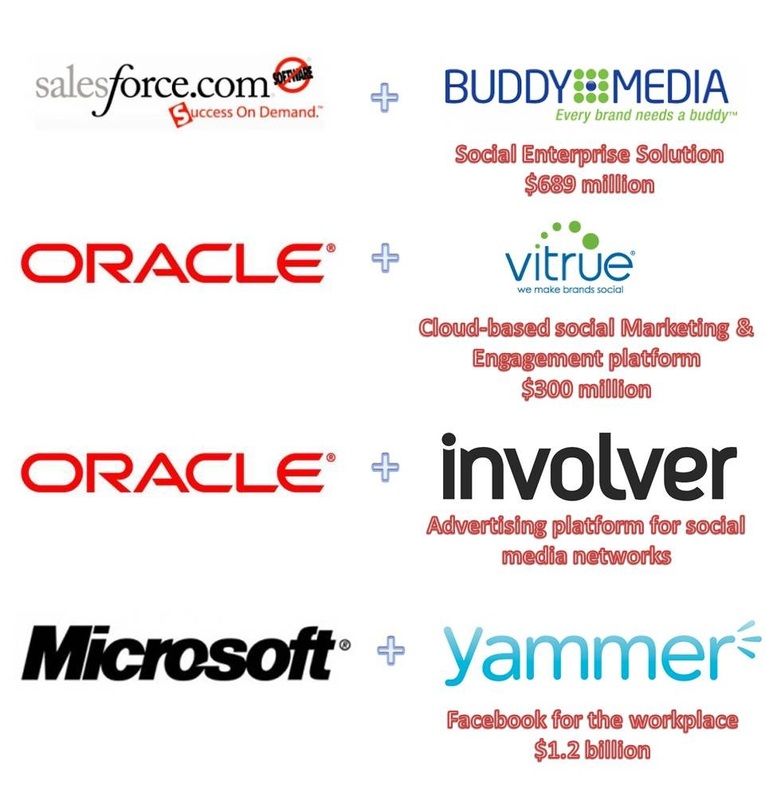 Services which have augmented the Social and Mobile Enterprise experience include Yammer – a messaging tool for colleagues which allows companies to create a private social network for employees, document-sharing site Dropbox and project-management tool Basecamp. Big guns such as Microsoft have increasingly moved to adapt its Office products – including Microsoft Word, Excel and Powerpoint, which generate about 50% of its profits – to an age where people work, share and communicate online. Microsoft’s Office 365, was the first big shift of its word processing products into the cloud. Documents are available over the internet and on a number of devices. At the same time, Google is attempting its own challenge to Microsoft’s workplace crown with its Google Apps suite, which includes a web-based alternative to each Microsoft Office product. With the consumerization of enterprise, enterprise majors are increasingly resorting to inorganic methods to augment their capabilities in the connected work space. The enterprise marketers of the 90′s and early 2000′s waited a long time before diving into social. Perhaps they wanted to see the sector prove itself and the social networks begin to cater to their needs through APIs as well as owned media presence platforms like Facebook Pages. Perhaps they believed they lacked the know-how to produce social marketing products themselves. In either case, giants like Oracle, Adobe, Microsoft and Webtrends have found themselves lagging behind, and without the months or years of lead time needed to build social marketing tools in-house. So we’ve seen a massive wave of consolidation as everyone tries to attain products in the four big areas of social marketing: publishing, advertising, applications, and analytics. How the iPhone5 measures up? At launch, iPhone was christened Jesus Phone and over the last 5 years, while there have been challengers to crown of the “World’s best smartphone”, iPhone has seen most of the challengers and challenges off. The list of iPhone contemporaries includes Moto Droid, HTC Evo 4G and Samsung Galaxy SII prominently. However with every iteration, the Android army has gotten nearer to the iPhone so much so that Samsung Galaxy SIII is arguably a better device than iPhone4S. With a 4.1 upgrade, the Siri factor should also take care of itself (Google Now). 1. Samsung will retain the screen edge with the massive 4.8″ screen. However to iPhone5’s credit, this is the first screen size upgrade to iPhone in 5 iterations in 5 years. 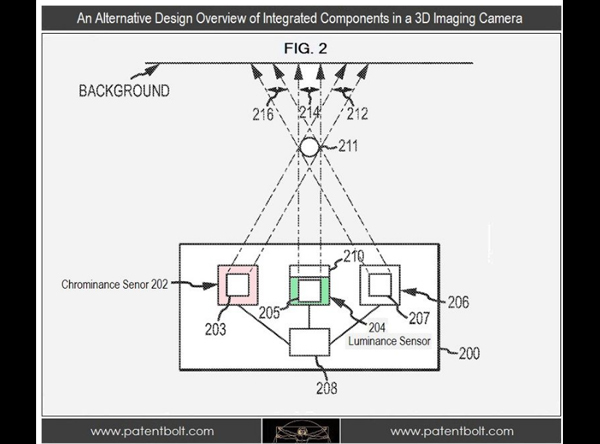 Apple will thus graduate to 16:9 resolution, rather than the 3:2 currently. 2. It is rumoured that the Exynos processor, which powers the SIII will be the one that will power iPhone5 with a quad core. 4. Perhaps the most earth-shattering change in the iPhone 5 is that it’ll reject the 30-pin connector used across iPods, iPads and iPhones in favour of a much-smaller (reportedly) 19-pin model. While a converter would be in scheme of things, this could momentarily create inconveniences for hardware/accessory makers in Apple stable. 7. In terms of pixel density, iPhone5(325PPI) would be 6% more richer than Samsung Galaxy SIII (305PPI) and 13% richer than iPhone4S(305PPI).